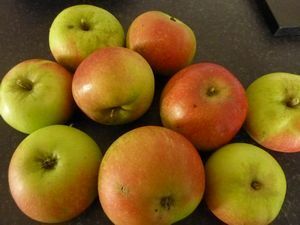 Discovery - Dessert Apple Tree £15.75 - Dessert Apples - Early Season Apple Trees and Fruit Trees For Sale. Buy at competitive prices with wholesale discounts. Discovery is one of the best early-season dessert apples ready to pick and eat around mid-August. Crisp and juicy with a good balance of acidity and sweetness, it is a pretty apple with a deep scarlet flush and creamy white flesh, sometimes stained pink. 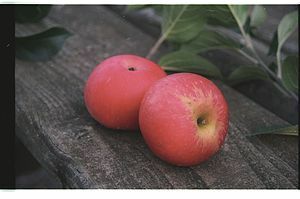 It is fairly hardy with good disease resistance, making it an easy tree to grow either in the garden or in an orchard. It makes fantastic quantities of juice and will store better than most other early-season apples.